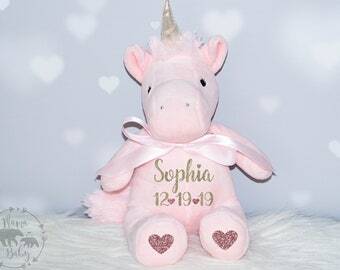 Completely personalize this precious pink Unicorn for the sweet little girl in your life! 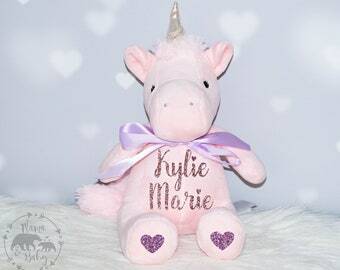 You can choose two colors to personalize this sweet little unicorn for your loved one! Let me know in the Personalization box your color selections and if you have a preference for the belly/feet. 🖤 Personalize the feet with your choice of symbol! 🖤 Choose a name with a date or a small phrase for the belly. Remember the more on the belly, the smaller the font I will have to use. 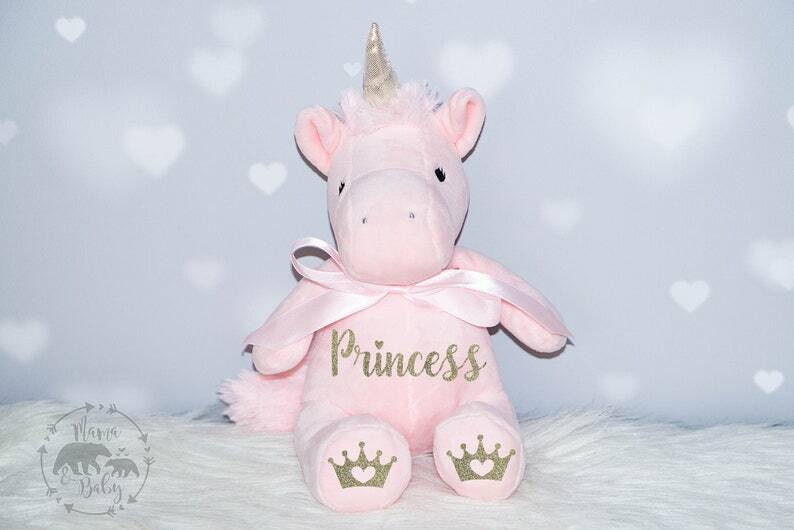 Pearl is a super soft, cute, pink unicorn. 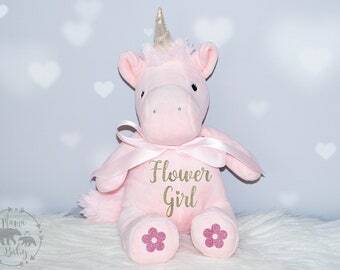 She has a pink body and a golden horn and sits approximately 9" tall. She is made of a polyester and is sure to be your baby's favorite.